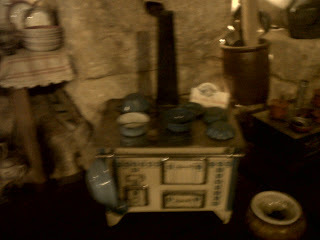 French Model Railway: And Home. 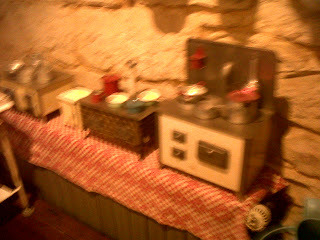 On the drive from Cahors to Bordeaux, went through more picturesque French towns in "La France Profunde". In one there was a little Brocante or antiques shop which amongst other things had several toy cookers for sale - no room to take one back to Scotland, unfortunately. 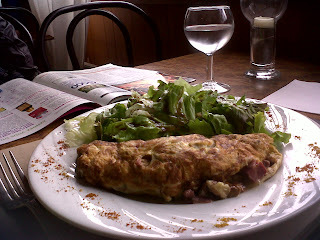 Next door in a little cafe had a Perigord omelet with lettuce sprinkled with balsamic vinegar. The omelet contained all sorts of unmentionables and was delicious - as was the lettuce. 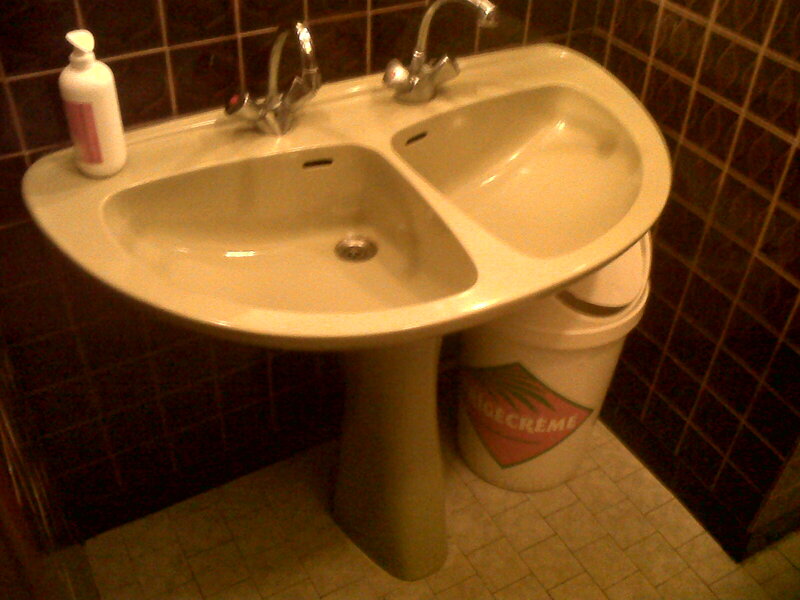 Rather liked this two-man wash hand basin in the cafe toilets.